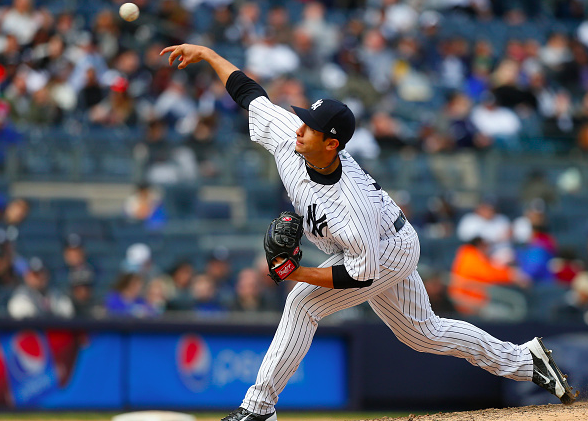 The New York Yankees announced prior to today’s now cancelled doubleheader, that they have sent RHP Luis Cessa to Triple-A Scranton/Wilkes-Barre. The team has also outrighted OF Shane Robinson to Triple-A Scranton/Wilkes-Barre. Prior to today’s game, the @Yankees optioned RHP Luis Cessa to @swbrailriders and outrighted OF Shane Robinson to @swbrailriders. Cessa was slated to start Saturday’s game before it was rained out and later rescheduled to June 4th. With CC Sabathia slated to come off the disabled list during the next homestand, the Yankees will now pitch Luis Severino on Monday and Masahiro Tanaka on Tuesday against the Miami Marlins.